Underfloor heating is a luxurious, efficient and stylish way to heat your home or office. PRD Ceramics is a Harrogate based underfloor heating specialists and we are available to discuss your requirements today. We’re the experts in floor tiling and believe that a properly installed tiled floor enhances and adds value to any home. Tiles can be cold though, especially in winter. The addition of underfloor heating makes walking barefoot on tiles a pleasurable experience! Underfloor heating is an elegant and efficient way to heat your home or workplace. Gone are the ugly radiators and pipework, giving a better visual appearance but also makes cleaning easier too. 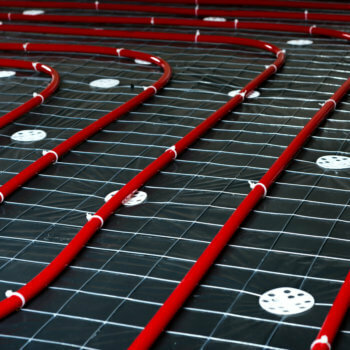 Our underfloor heating systems are integrated into your existing central heating system and we can provide advice and recommendations to get the best solution for your needs. The great news is underfloor heating is usually cheaper to run than conventional radiator based central heating. This is because the systems are efficient and also due to their location in a room – heating is from the ground up, unlike a radiator that is on one wall, trying to heat an entire room. Underfloor heating is a desirable luxury that actually adds value to your home when you come to sell. It is seen as a state of the art feature that is a must-have for high-end luxury homes. 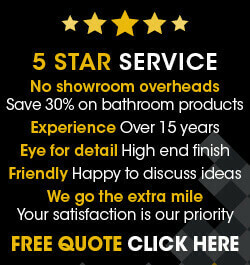 At PRD Ceramics we only fit products that we know and trust, giving you confidence that you’ll be delighted with the end result. When it comes to underfloor heating we only fit the worlds best selling floor heating brand, Warmup due to their high quality and reliability. Call us on 07807 324212 or 01423 326526 to get the ball rolling.